What do high school students say if you ask them what their dream school looks like? Two years ago, when I was a high school senior, people always asked me, "Where do you want to go to school?" There was a lot of talk about traditional options, but not much about creating or thinking differently about college. Rethinking higher education wasn't a conversation I was even remotely aware of until I stumbled upon an article about a new school called Minerva in January of my senior year of high school. I was immediately enamored with its radically different model. Instead of staying on a campus for four years, students travel to seven different countries. Lectures were outlawed and replaced with interactive seminars, and the school's emphasis on accessibility made me feel that I'd finally found an institution whose values were in line with my own. I applied immediately, and was lucky enough to be accepted. When I arrived in San Francisco to start my freshman year it seemed that everyone was talking about the "dream school." Certainly it was a big topic at Minerva, where they were trying to build it, but the buzz clearly extended beyond this small community, and I started to wonder how I'd never been a part of this discussion. If you tune into the conversation, you'll notice that there are a lot of adults -- professors, pundits, politicians -- trying to make their ideas heard, but oddly, hardly any students sharing their vision -- and it's not for lack of a vision. This got me thinking -- what could we learn by challenging students to think critically about higher education? How many students would change their educational path if they challenged their assumptions about what higher education has to look like? Two months ago a classmate and I launched a project to start these conversations around the country. For three weeks we drove from Boston to Miami visiting high schools to conduct workshops that prompt students to design their "dream school." The workshop pulled a lot of inspiration from Silicon Valley -- from design-thinking-inspired sticky note sprints to Elon Musk analogies -- but was designed to be universally applicable. We broke higher ed down to its fundamental building blocks: Curriculum, Classroom, Faculty, Campus, and Students, then challenged students to imagine their ideal version of these component parts. We visited a variety of schools from the oldest public school in the country, to a school founded by foreign embassies, to a cutthroat math and science charter school, to a private school founded this year, and we collected student ideas. We found first generation students and students who have always planned to be the third generation legacy at an Ivy, but amongst this diverse group there appeared some common themes. Obviously, this is not the official consensus of American high school students, but if the cross-section of students we talked to is any indication, there are a lot of things we could change in higher ed to better meet student demands. I hope as you read through the student responses you note not only what is there, but also what is not. 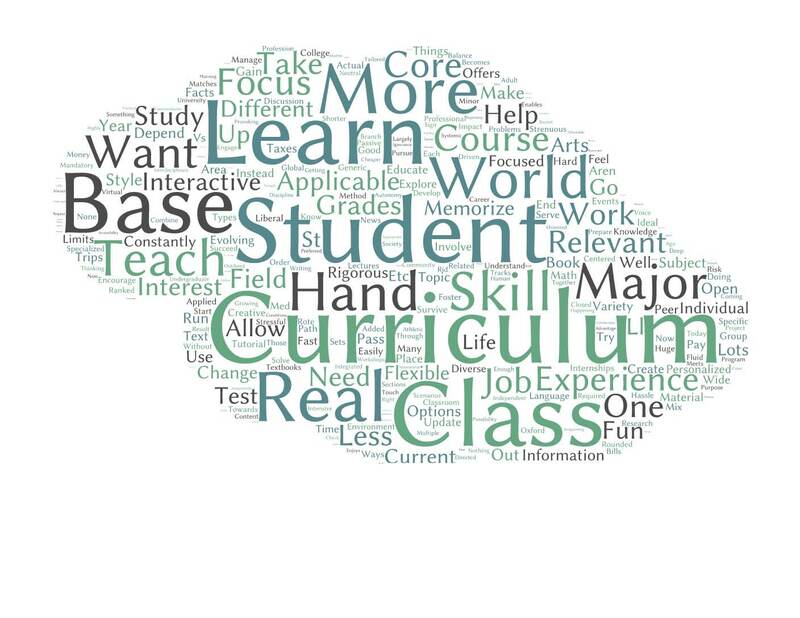 What students want: A few common requests for the curriculum was that it be relevant and personalized. Essentially, students are tired of being put on cut-and-paste paths, and they're even more tired of memorizing facts they can Google. Students want to be working in ways that prepare them for their careers, whether through project-based learning, or using real-life examples to bring the material to life. What students didn't request: Crazier electives, stricter tracks, exams. 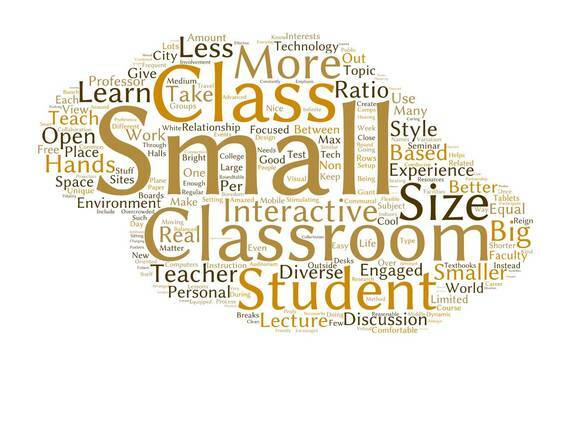 What students want: Small classes. Nearly every idea we received related either explicitly to size or to what a small size entails. Students wanted interaction with other students and the professor, individualized attention, and they wanted their classroom to extend beyond the traditional four walls into the "real world." 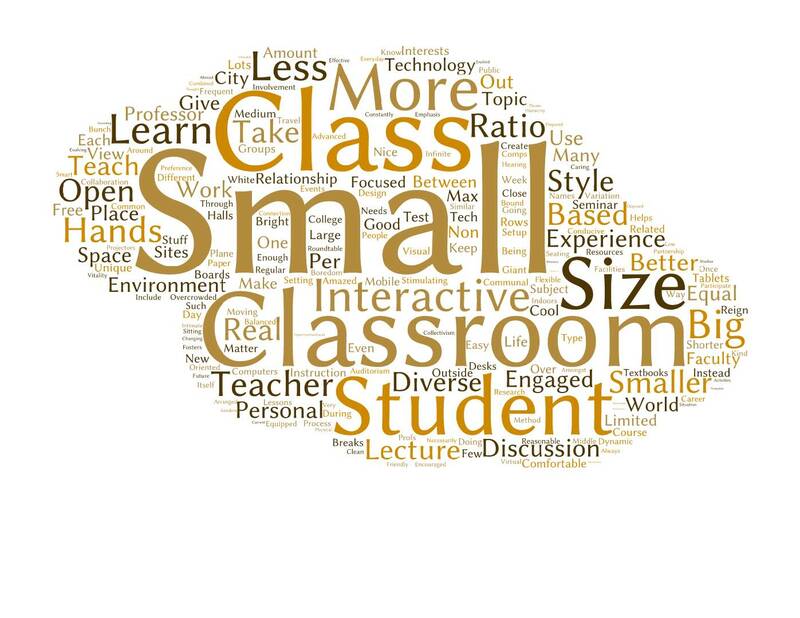 What students didn't request: Smartboards, larger or nicer lecture halls, fancier plastic chairs, anything involving note-taking. 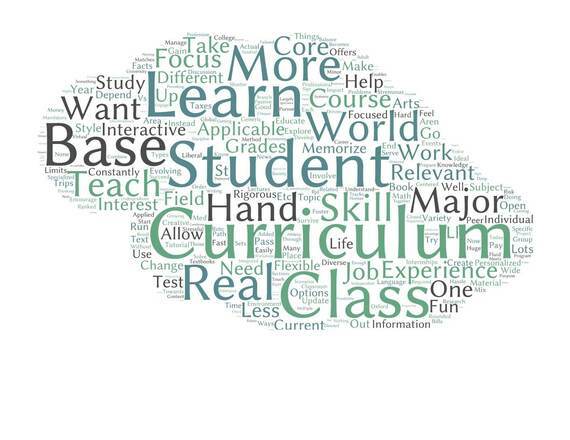 What students want: When it came to the people who would be teaching their classes, they often said that they wanted them to be knowledgeable, but the most important thing was a connection; they wanted to feel that the professor wanted to teach, was open to discussion, and was available to help. 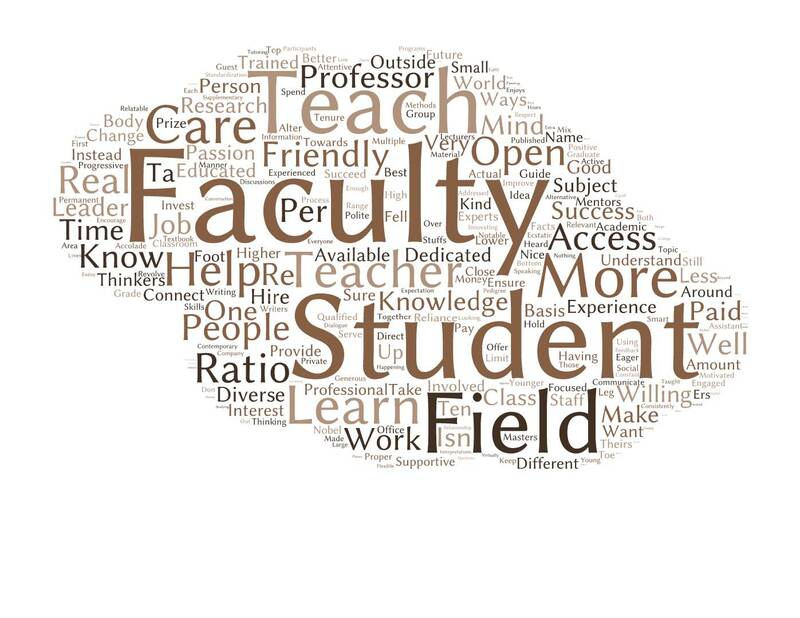 What students didn't request: TAs, more research faculty, excellent lecturers, Nobel Prizes. 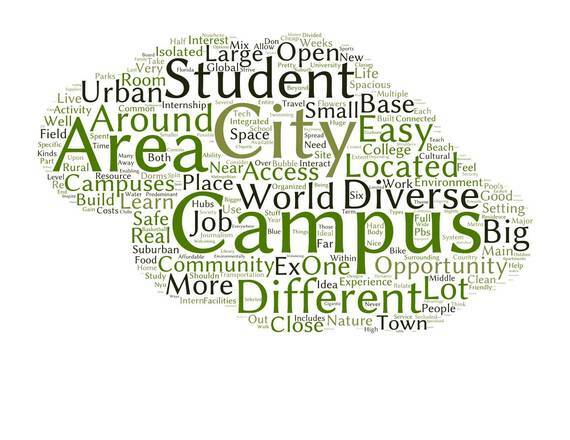 What students want: Student preference varied as to the size and location of the campus, but the majority tended to want an urban or suburban area. Students wanted opportunities that would help them prepare for life after college, whether through industry partners, study abroad, or access to facilities or transportation. What students didn't request: Acclaimed sports teams, pristine quads, fancier buildings. 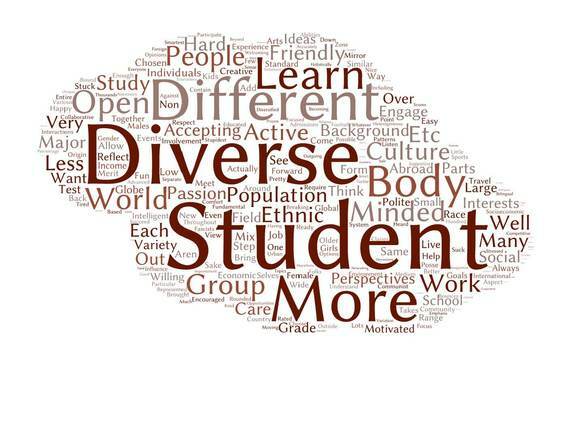 What students want: Unsurprisingly, diversity was the most demanded thing students asked for in a student body. Specifically, they defined diversity not just as students from many states, but students from different nations, socioeconomic standing, and students of many different interests. They wanted to be surrounded by people who were equally as motivated to learn as they were, but who brought new perspectives to the table. What students didn't request: Specific percentages, people with similar backgrounds to their own. The good news is that many of the things students want -- small classes, access to transportation, a diverse student body -- are things that colleges are very attuned to. Just try to find a college brochure that doesn't prominently feature pie charts about diversity and numbers on average class size and student to faculty ratio. Past the superficial level, however, universities seem to lose interest. Is the student to faculty ratio really relevant if half the faculty are research faculty who are either unavailable or uninterested in teaching? Is a student body truly diverse if the students all come from similar upbringings (both socioeconomically and geographically)? Sure, universities care about appearance of a world-class experience, but not so much the experience itself. Nowhere is this more evident than in the aforementioned area of what students don't request. Sports teams, the fanciest equipment and facilities, the specific accolades of professors -- students don't consider any of these things fundamental to the ideal college experiences, yet universities spend millions of dollars every year trying to outdo each other by building a new facilities that their students never asked for and will never use. It's an arms race that benefits no one, especially not the students. "I literally feel that hearing about Minerva is a turning point in my life. If I hadn't heard about it I wouldn't have really thought that better education IS possible. It might be a little random to send this email to you, but I am just really happy that you came to my school today." My hope is that as new student-centric models emerge and become more widely known, more students will join the conversation to rethink higher ed. Students may not have all the answers, but they have creative ideas and they hold those professors, pundits, and politicians dominating the conversation accountable to prioritize what really matters.